Looking for a Certified Home Appraisal in West University Place, TX? Our Texas certified appraisers are the leading providers of independent residential and commercial real estate appraisals in the West University Place market area. Our goal is to provide our clients with a fast, reliable and professional appraisal service that meets or exceeds their expectations and requirements for use. Our appraisal fees are highly competitive and we take pride in maintaining some of the fastest report turn times in the area. Getting scheduled is fast! 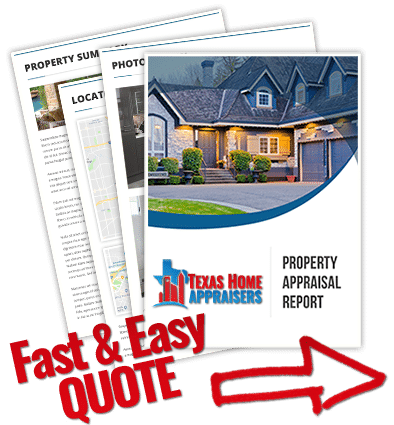 Simply submit the web quote request form or phone our number above and one of our licensed houston appraisers will be standing by to discuss your assignment. One tool appraisers rely on mostly when valuing a home, is their local Multiple Listing Service. They use this to collect data on recently sold homes, known as comparable sales. Only through market research and analyzing market data pertinent to the subject property, is an appraiser able to come to an opinion of value. The appraiser may also use data provided by the client or a Realtor so long as that data can be verified as true and correct. A certified appraisal is a formal, impartial estimate or opinion of value, usually written and supported by the presentation and analysis of relevant data. An appraisal is prepared as a result of a set fee which cannot be based on the outcome of the appraisal, or the property value. Only a state licensed appraiser can provide a certified appraisal. A comparative market analysis or broker’s price opinion is an informal estimate of market value, based on comparable sales in the neighborhood, performed by a real estate agent or broker. Ultimately, the motivation behind the report is the largest difference between a BPO and an appraisal. Brokers may earn a commission from a property sale that was made through a BPO contact; appraisers cannot be compensated for any outcome of the sale of a property. This could lead to undue influence on the Broker’s opinion based on the desire to gain a client. A certified appraiser is independent and not earning a commission on the sale. Their only concern is to deliver a fair, accurate and objective appraisal. Highest and best use is typically the usage for a property that will return the greatest value. Highest and best use must consider what is legally, physically and financially feasible for the property itself. The two, while both attempting to value the property, are quite different in their approach. CMA’s usually contain a few recently sold and active comparable properties, and rely heavily on their prices. While appraisals also us comparable properties, the level of research placed into each property and subsequent adjustments are much more in depth than a CMA. Land and building prices are also important in an appraisal. CMA reports, performed by competent Realtors, are often great for determining a range or “ball park” figure. Appraisals are much more exact and require a great deal more time. The most influential of all these factors is the person creating the report. Realtors are not required to have market area competence or knowledge or home valuation to create CMAs. Unlike agents, an appraiser must possess explicit market area knowledge when performing an appraisal. The appraisal is created by a state certified professional who makes a living out of valuing properties.